Pain Description: Long history of chronic back pain, diagnosed by the doctor. Aim: To keep the body in an upright, healthy S shape, with your arms supported, reminding you to sit straight, preventing further pressure on the spine and maximising relief from pain and tension build up. 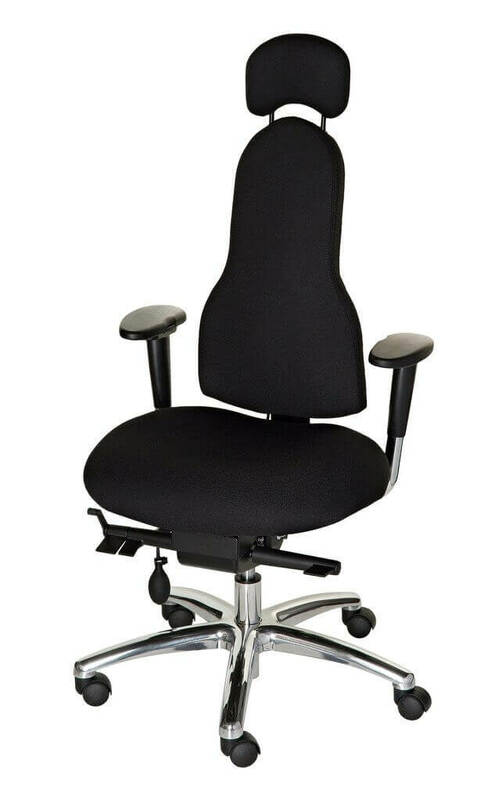 Allows you to reduce the tension build up caused from sitting in an unsupportive chair. Benefit: Getting the angle of your sitting posture correct is key. Both the Libero and Rituwell Star’s high level of adjustability allows you to adjust the backrest and seat angle at the correct setting that will maximise your recovery. By providing support that can be fine-tuned to your exact postural needs, the build-up in tension is reduced and pain is eased, providing long term relief. The slim design of the Libero backrest is specifically designed to cradle the back in exactly the right place for your own spine shape. The slim shape not only provides lower back support but also support between the shoulder blades, encouraging an upright, open chested posture and allowing freedom of movement. The broader backrest of the Rituwell Star is suitable for those looking for a wider backrest, but still wanting the exceptional levels of support that Corrigo Design chairs offer. 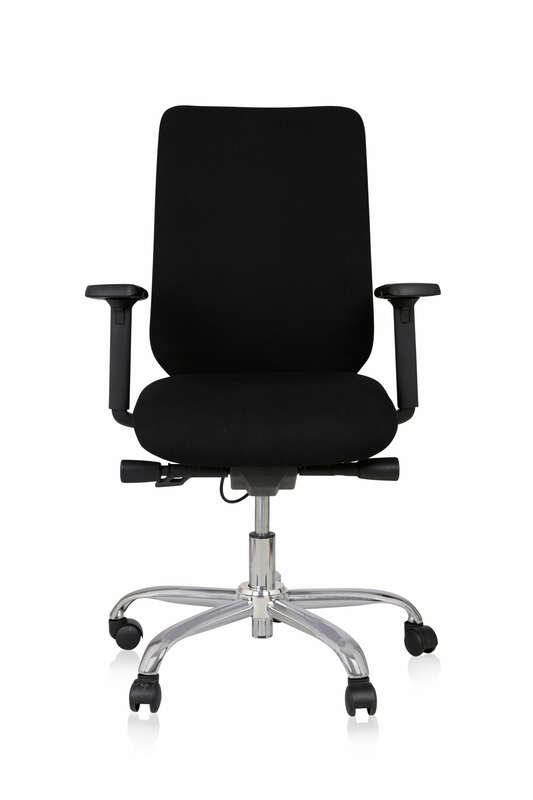 Discover the best office chair for Fibromyalgia, Arthritis and Spondylosis. Shop now by clicking on Libero or Rituwell Star image above.